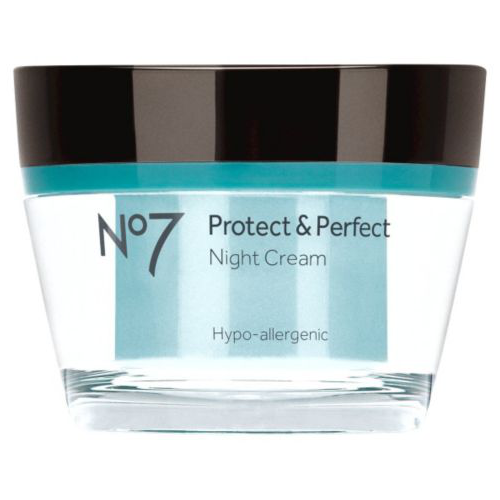 No7 Protect & Perfect Night Cream protects young skin to delay first signs of ageing, boost radiance & visibly improves fine lines. Powerful Prevention. Help your skin get a restful night's sleep with this revitalising night time formula, targeting the first signs of ageing. Created to be used with our Protect & Perfect Serum to help deliver even better results than the serum alone. Works to help your skin recover from the day and smooth fine lines leaving skin with healthy renewed radiance. With our patent pending antioxidant complex to help shield against free radical damage, plus our skin firming pro-retinol complex containing Lipopeptides to help boost and maintain elasticity. Use every night after cleansing and applying Protect & Perfect Serum. Simply smooth into your face and neck with your fingertips, avoiding your eyes. To give your skin an extra helping hand, use Protect & Perfect Serum & Day Cream when you wake. Lighter than many night creams. - A fresh & pleasant fragrance. - Aimed at younger skins to delay the first signs of ageing, but also good for 40+ skin. - Non-greasy and absorbs well. - A creamy yet light moisturiser that leaves the skin feeling soft & supple. An effective night cream that's suitable for sensitive skin. Like all the Boot's Protect and Perfect range this night cream absorbs quickly and a little goes a long way. I started using this range Christmas 2011 and within 6 weeks people were remarking on how good my skin looked. Immediately upon application our skin feels baby soft and feels nourished. I like using the pot as you can get just the right amount each time in comparison to a tube where I ALWAYS squeeze out too much! There is a nice light perfumed smell which my boyfriend loves by the way so brucie bonus there ;) Is a little pricey so I would recommend buying it as part of a gift set for better value. 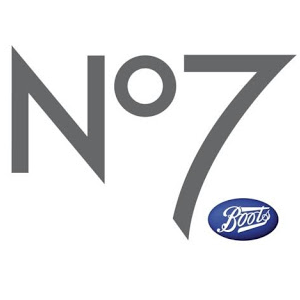 Best to buy it at Christmas as Boots have been offering it as one of their 'Star Gifts' were you can buy the gift set for half price and makes a fab gift idea also! Pricey when bought on its own. All in all a value for money product that is pleasant and easy to use. Works well the rest of the range as part of your routine. A non greasy night cream that works! 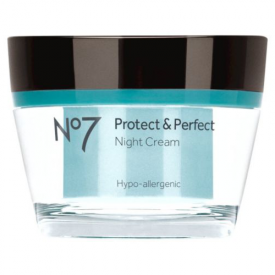 Unlike a lot of night creams this absorbs quickly yet feels nourishing and rich. Seems to go a long way so you don't need to use much. My skin felt soft and smooth after just a few minutes, not at all tacky. There were no greasy marks on my pillowcase in the morning, just lovely soft dewy skin. A good size pot that I feel is good value as it lasts a long time and there is no waste. I could see visible results after 4 weeks. Brilliant results when used with the Protect and Perfect serum. A night cream that works. It is not greasy and absorbs into the skin quickly. Leaves skin looking and feeling radiant. Visible results in a short time. A night cream that abosrbs effortlessly. Ideal! Alot of night creams, can be quite thick and take alittle time to absorb. This one is light yet rich, it absorbs easily, especially after cleansing, just when your skin needs that extra hydration. You can feel your skin taking it in, yet it doesnt leave any residue that might feel tacky. It has no lingering scent, which is good. It doesnt leave any 'greasy' marks on pillocases. It simply is a great cream, alittle pricey, but with a shelf life, once opened of 24mths, its all good. Great Night cream, absorbs well.